Oklahoma Connection | Chisum was born in Muskogee, Oklahoma. Dr. Chisum’s grandfather moved to Muskogee County when Indian Territory was opened for settlement and the Dawes Commission was in Muskogee. They first lived in the town of Twine, which her grandfather founded southwest of Muskogee. 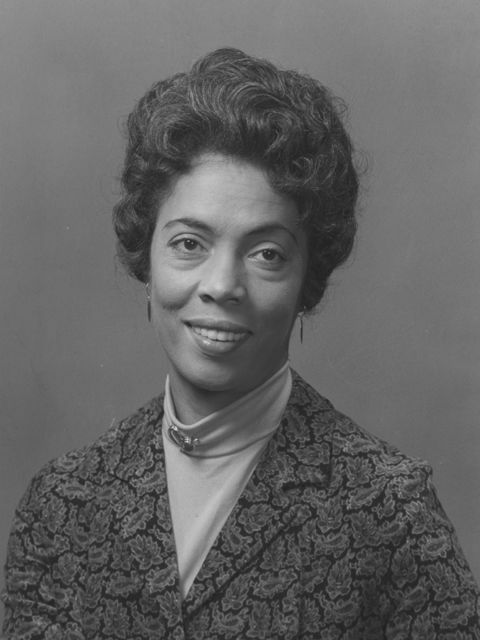 Oklahoma native and distinguished research psychologist, educator, and administrator Gloria Twine Chisum graduated from Howard University before earning her Master’s and Doctoral degrees from the University of Pennsylvania. Dr. Chisum acted as manager of the Life Sciences Research Group and head of the Environmental Physiology Research Team at the U.S. Naval Air Development Center. A consultant to all branches of the U.S. Department of Defense, as well as many other organizations throughout the world, Dr. Chisum has represented the U.S. government in several conferences held by the North Atlantic Treaty Organization Advisory Group for Aerospace Research and Development. A recognized authority on visual problems associated with the operation of high-performance aircraft, Dr. Chisum has received the Aerospace Medical Association’s Raymond F. Longacre Award, the University of Pennsylvania Alumni Award of Merit, and the Scientific Achievement Award. See pictures of Gloria Twine Chisum and other media HERE.